Out of Order watches make you say… “OOO”? Beat up and broken in. That’s what Italian watchmaker Out of Order, or OOO, is offering to watch enthusiasts. Will the design concept have mass appeal? For many watch enthusiasts, luxury timepieces are something that are meant to be cared for and enjoyed in their pristine shape. Whether that’s polishing the crystal, buffing the case or servicing the movement, the old adage is if you take care of your watch, it will take care of you in terms of lifelong service. I used to think the same, until I came across the first really beat up watch that I actually wanted to own. 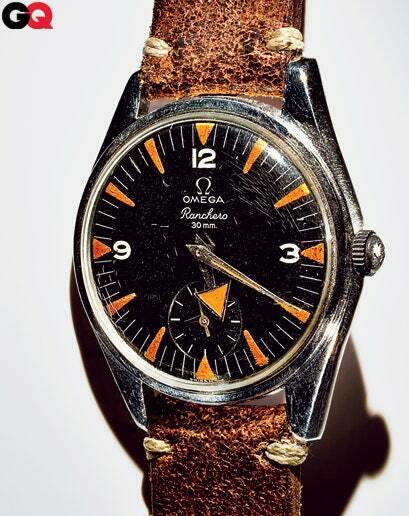 It was this 1958 model Omega Ranchero, and what really resonated with me was the discord between a luxury item that has been worn to the ground, wearing its daily scuffs and scratches like people wear their wrinkles. There’s something to be said by flipping the scrip of what’s fashionable in terms of luxury watches. And inevitably, no matter how much you care and love for your timepiece – or any other possession for that matter – wear and tear will eventually catch up to it. At that point it’s decision time, either: replace it, restore it, or own it. Young Italian company Out of Order has opted for the latter. In fact, they will sell you a brand new beat up watch. Or in their words, watches “damaged in Italy” through a handcrafted process by their technicians in the suburbs near Venice. For a company that’s been around for only four year, they’ve done a good job with their strong online presence. And for the third year they’ll be at Baselworld come this March, where they will present a new collection, the Scarabeo, as well as a restyling of their first quartz collection. If you can’t want until Baselworld, the company has quite a large offering online, including vintage inspired dials and pocket watches. There is probably something for everyone, especially because their unique “damaging” process ensures that no two watches are the same. They even have models that looks quite similar to some of the legendary offerings by the likes of Omega and Rolex. Prices range across the tripe digits, from the high 100s to about $700 USD. Now that might seem high, in addition to the fact that they typically rely on a range of mechanical and quartz movements by Sea-Gull and Miyota. And especially high for a watch that looks like it won’t resell for much on the secondary market. But that’s exactly the point. Had I not known that their watches came looking like that out of the factory, I probably wouldn’t consider owning one. So while it might seems like the joke in the consumer here, it might actually be on the industry norm of wearing expensive and scuffled watches. As their name suggests, to start with a beat up watch might just be considered something out of order. But in many ways, the company is getting straight to the point, getting to the inevitable. There is a certain beauty in dissonance and imperfection. And at least that way, you won’t worry about every little scratch and stuff along the way.